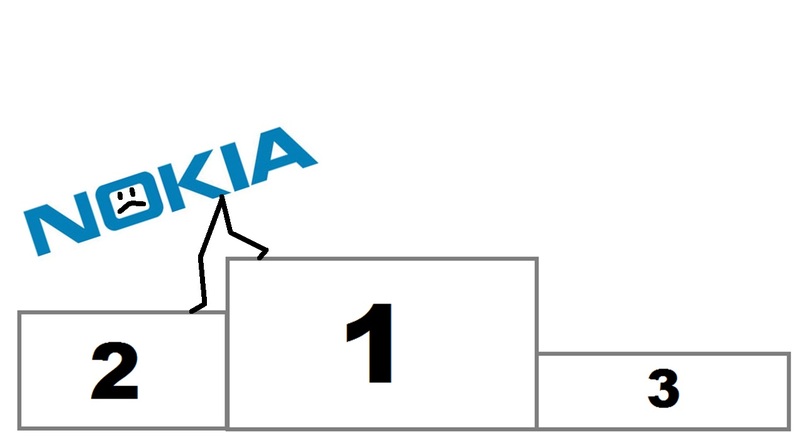 Nokia to be dethroned as number 1 smartphone manufacturer? In December, Electronics Giant, Samsung was said to have been trying to oust Nokia from their top spot as number 1 manufacturer of phones world wide. The time frame for this? 3 years. Note, that Nokia has been number 1 since 1998 (12 years), toppling then Supreme Motorola (which would have all but disappeared were it not for Android). Did you know however that Nokia has been number one in another category for 14 years? It’s the range that they pretty much invented and only until 2008 began showing decline. Smartphones. Nokia had the communicator series back in 1996. Reuters are reporting that Nokia will be dethroned from their smartphone crown. They’re still number one seller in total of all mobile phones. Is it really surprising given that Nokia hasn’t even announced a flagship device for 2011? The only new handsets are the somewhat midranged X7 and E6. Plus of course there was the effect of Symbian being issued with EOL in the yes of the media, operators and distributors of Nokia Symbian phones. What’s worse is that Nokia isn’t just moving to number 2, but to number 3 position. Nomura also sees also Apple overtaking Nokia and pushing it to number 3 in rankings. Apple already has over taken Nokia in revenue back in April. In Q4, Nokia sold 24M smartphones. That’s great. Apple sold 18M. During Nokia’s transition, Q2, Q3, and possibly Q4 too will look terrible. June 21 at Nokia connect may give us at least something positive to look forward to. It’s doubtful that it will sufficiently positively impact Q3. Until Q4 all will look lost. All I can do is just hope Nokia pulls it off and get back on their feet. There was never any real reason why they couldn’t have trampled all over their competition, snuffed out iPhone and prevented Android from ever getting anywhere, instead from tripping over in 2007 through to 2008, and 2009, and 2010, now on hands and knees. From a time when every single manufacturer COMBINED could not equal Nokia, tough competition, complacency, indecision and incompetent management leads us here. If another set of analysts from Gartner, IDC and Pyramid Research are to be believed, if Nokia gets things right with Windows Phone, WP will be beating iOS by 2015 (Pyramid Research even goes on to say beating Android too).